This entry was posted on July 13, 2010 at 5:55 AM	and is filed under BBQ, Ingredients, Rubs, Sauces, Marinades & Dressings, Vegetarian. Tagged: BBQ, cooking, food, garlic, grill, grilling, rub, spice. You can follow any responses to this entry through the RSS 2.0 feed. You can leave a response, or trackback from your own site. Not a stupid question at all! 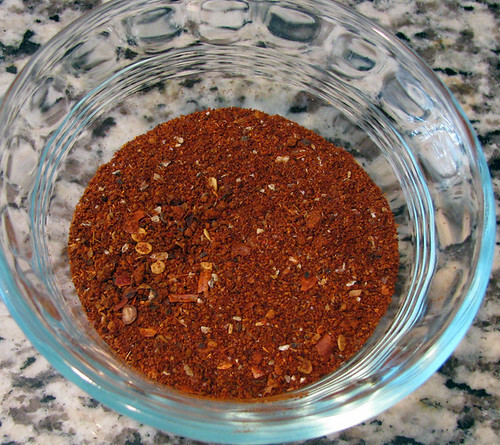 As a matter of fact, I developed this rub (and the sauce that goes with it) for my Pulled Pork recipe which is done in a Dutch Oven. So, yeah, it will work very well in the oven, or even a crock pot. I always use rubs when I grill but I’m never cleaver enough to write them down though I always seem use the same ingredients. Along with most of what you used I always add coriander, dried mustard and cumin. 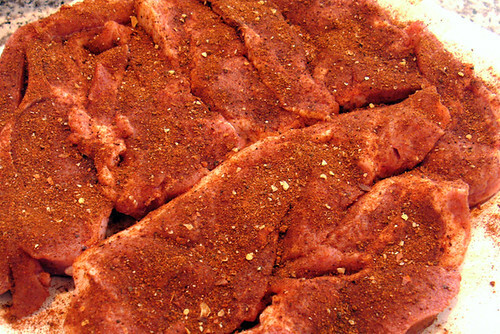 This looks like a great dry rub. I looked at it and i can’t find anything that i would add to it. Thank you, Ryan! It really is a good one. Though, it really shines when paired with our R&R BBQ Sauce! This is just what I needed. I am no subscribed to your feed. Thank you.